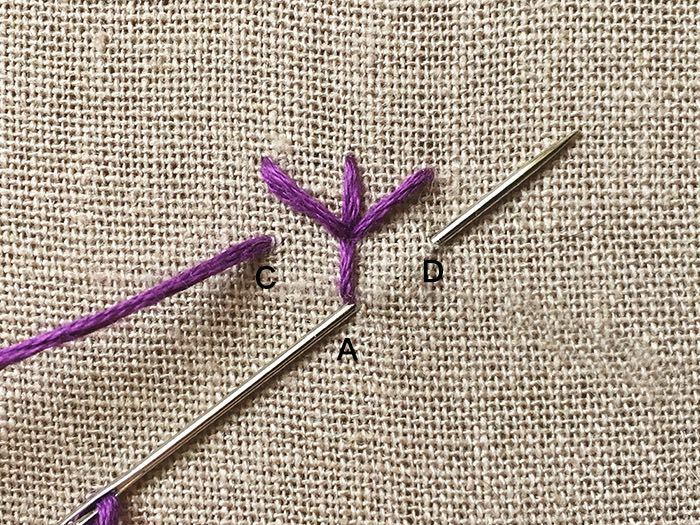 Fern Stitch is perfect for leaf veins or to create flower stems. Step 1. 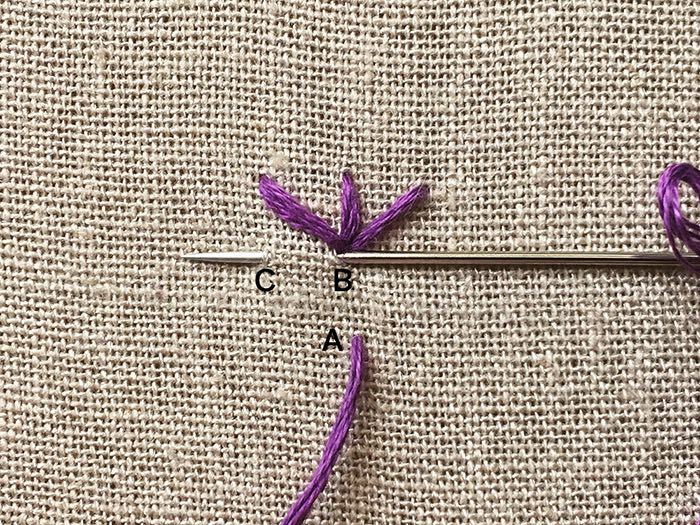 Come up at A. Insert needle at B and come up at C.
Step 2. From C, insert the needle back in A to come out at D.
Step 3. 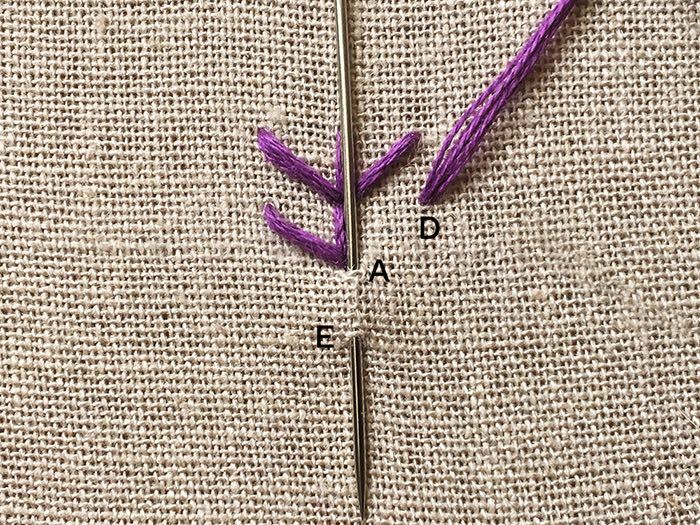 From D, insert the needle back in A to come out at E. Repeat.